Weight Management – NouvelleHEALTH, Inc. Since 2002 Nouvelle Health has provided a wide variety of supplements to its many customers. To see all of the products in our current catalog go to our on-line store by clicking on the “Store” button. 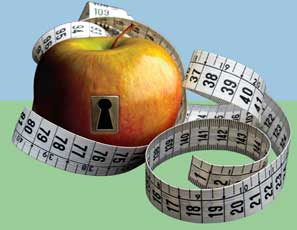 A primary focus of Nouvelle Health has been in the area of weight loss and weight management. Excessive weight and the related health issues is a major problem in our culture today. Consequently Dr. Lester Griffith, the founder of Nouvelle Health, has made creating formulas and selecting products that target weight loss and weight management the number one goal in his research and development of products. Dr. Griffith has created quite a few product that help with weight issues. These products help with appetite control, fat burning, weight management, etc. For the past few years Dr. Griffith has been working on a new product that is extremely effective for weight loss and weight management. Initially the product was prescription only, but after much additional research he was able to release it as an Over-the-Counter product. Our new weight loss/weight management product is MetaRx. This unique product is only available through Nouvelle Health and can be purchased from our on-line store. Meta Rx. Lose weight fast and safely while improving your overall energy levels without the jangle of caffeine or the heart palpitations and elevated blood pressure of stimulants. Nouvelle MetaRx promotes smooth, clean, calm energy without keeping you awake at night. Nouvelle MetaRx works by increasing energy production in the Mitochondria by as much as 130%, stimulating the efficient burning of stored body fat, and significantly increasing thermogenesis.